The hotel comprises of 24 rooms and 6 suites, all luxury furnished. The suites also have fireplaces. Available are double rooms with queen-size double beds or separate beds. Each room/suite has also a folding sofa which allows 2 more persons to sleep. 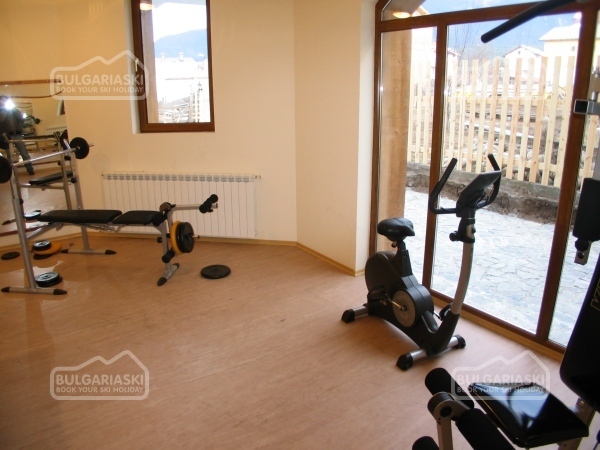 The hotel benefits from great facilities such as lobby bar, tavern, sauna, jacuzzi, gym, massage, room for table tennis, ski storage. 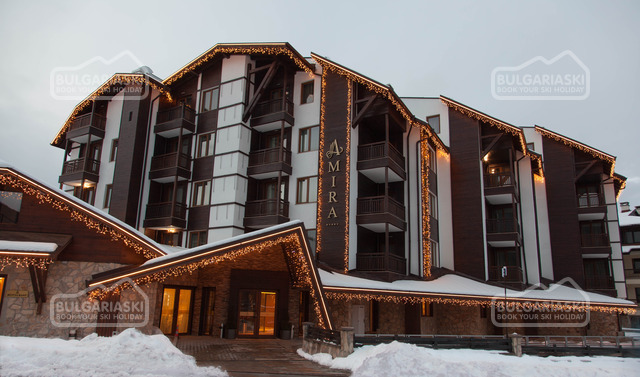 We recommend this hotel for the cozy atmosphere, friendly staff, great facilities and proximity to the Gondola. This hotel is very clean and tidy, with very good facilities, the staff are friendly - although english speaking can be a little problematic. The food variety for breakfast was not great - no cerieals etc, and the choice of evening meal was poor - especially for fussy children - we eat out most nights. This is a lovely Hotel with an excellent location very close to the gondola but the food is terrible. After the first dinner and breakfast we never ate there again. J'ai passé un séjour innoubliable!!! Je remercie tout particulièrement les propriétairs de l'hôtel qui m'ont reçu personnellement. J'ai eu le bonheur de trouver un village tradtionnel-bulagare qui associe l'air pure de la montagne au luxe de l'hôtel. Les activité du Spa centre m'ont aidé à me détendre. Je remercie les hôtes pour les plats traditionnels bulgares, qu'ils m'ont offerts. I admit that I had my best weekend in hotel ELEGANT!I was twice there and I will definitely visit this wonderful hotel again!Situated near the new lift(gondola) and the center,it is the perfect place for both:having fun,skiing and the same time relaxing.I want to suggest to everybody visit hotel Elegant...YOU will be very e x c i t e d! Thank you for reading my comment! 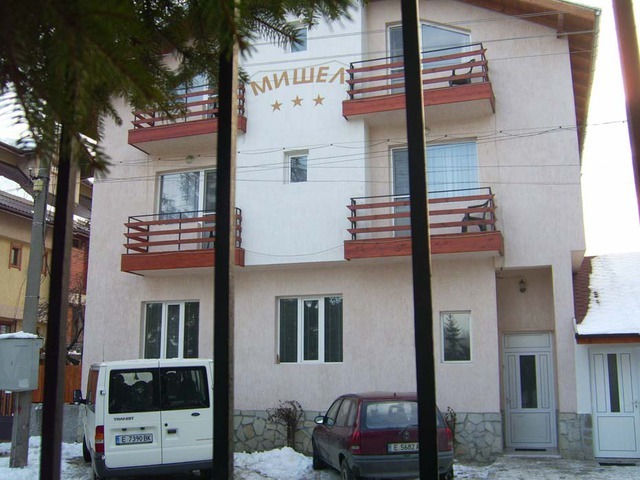 Please, post a comment on Elegant hotel in Bansko (Bulgaria).